I have bought a at89s51 to make a simple project. 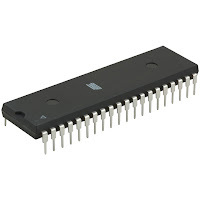 I am a really super newbie in microcontroller programming. So please tell me from where and how I start this project? daripada mikir proyeke rika sing mbingungi mending tek uncali mendoan bae ya... he...he..
Nyong juga ora mudheng, kiye kopine nggo lawuh mendoan. starting from your knee till the end of time. Njujugna gethuk goreng sokaraja siji he.he.. I would wish you also share some info with us. This is a really useful site for technical info. I value your having time to speak about this. I am passionate concerning this topic and really enjoy understanding more about it. I have visit your link. saya senang setelah membaca tipsnya,pasti saya akan di coba..
Im very very happy read this. This is the type of guide that should be given and not the accidental false information thats at the other personal blogs. Appreciate your sharing this finest doc.